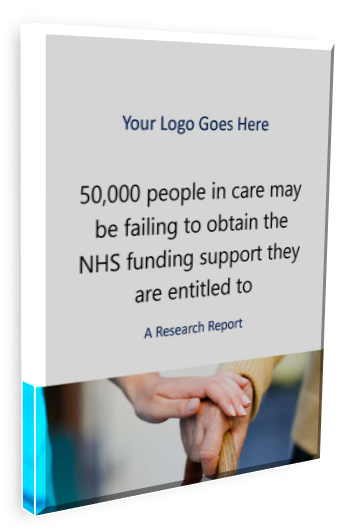 A unique research report, first published in 2013, now updated to 2017, which suggests that 50,000 people in the UK may be missing out on NHS Continuing Healthcare. This is an opportunity for leading Financial Planners and Financial Advisers to use this research under their own brand, to provide invaluable information to their clients and to attract significant new business flows. The research focuses on the government’s own statistics. The aim is to provide you with valuable information to share with your clients and contacts. If you would like to order a sample, please fill in the form below.